Wow! 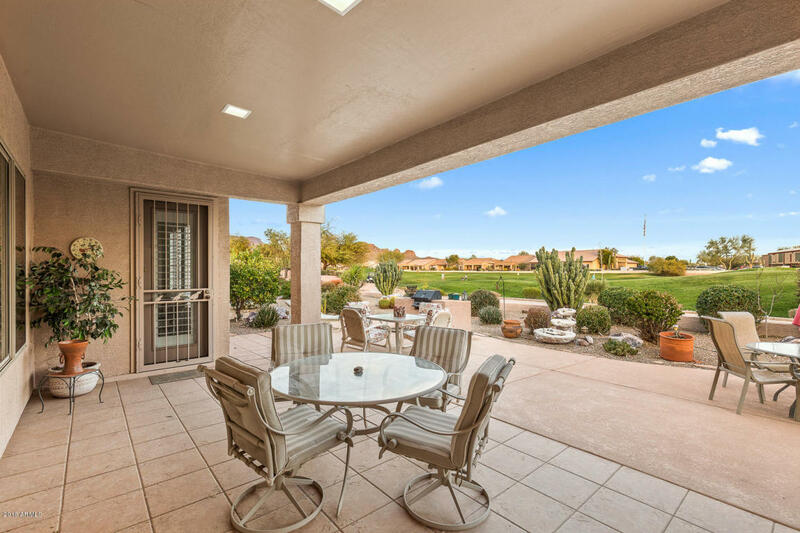 *** COTTONWOOD MODEL with PREMIUM GOLFCOURSE LOT and GREAT VIEW OF SUPERSTITION MOUNTAIN FROM BACKYARD TOO! You will love this OPEN FLOOR PLAN with ***EXTRA DEEP 3 GAR GARAGE*** optional powder room & expanded utility/hobby room plus GENEROUS EXPANDED PATIO perfect for entertaining or just relaxing and enjoying the morning and midday sunshine! Don't miss all the windows in the kitchen, pull out drawers, large center island and STAINLESS STEEL APPLIANCES! All furniture, decor and household items are included (except all the wall art paintings and blue dishware set). Don't wait too long, CALL TODAY!